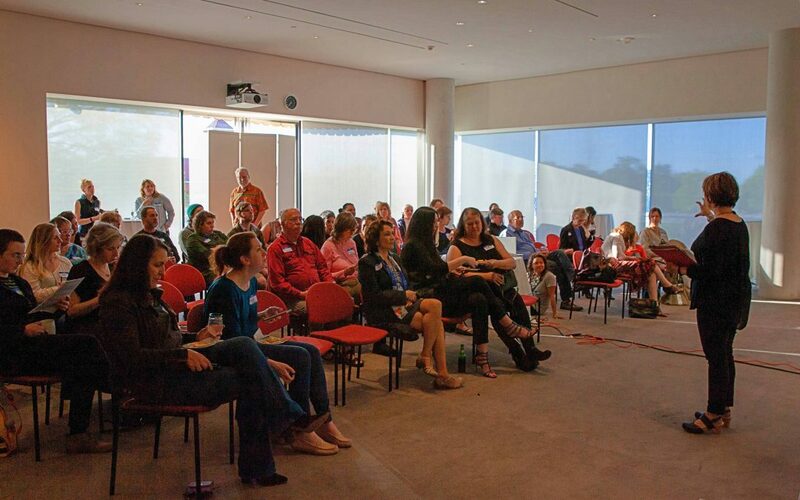 Art as a physical space: On April 19th we met at Richmond’s preeminent VMFA to learn and discuss the impact of art on the community. Not many people raised their hands when first asked if they considered themselves artists but by the end of the night we recognized that we were in a room full of artists contributing to the social and economic impact of the RVA community. Art drives economic development: During the night we viewed the TEDxHudson video by Jamie Bennett titled “The Arts In Community Planning And Development”. This sparked discussion on topics such as how artists contribute to community attachment, social cohesion, and civic engagement. As usual, our facilitators did an excellent job of bringing out issues most prominent to the topic at hand. In my group, we discussed how we are fortunate to have such diverse areas to create and experience the arts. We included the traditional arts such as museums, symphony, ballet, and film and non-traditional arts such as murals, tattoo art, architecture, botanical gardens, maker community, craft beer, and food scene. We also included the strong marketing, advertising, and self-publishing communities flourishing in RVA. For a detailed look at how all these things come together to drive economic impact to the Richmond tri-cities area, check out this link to the Arts and Economic Prosperity 5 Report. Art brings people together: Next, we had the opportunity to explore the 2nd and 3rd floor galleries at the VMFA. Clare Tilton, VMFA docent, gave us three things to focus on while perusing the galleries. She cautioned us against doing the typical 7-second look and moving on and educated us to SEE, WONDER, and CONNECT. We were also given a handout of eight suggested pieces of art to view during our 20-minute self-guided session. My favorite part of the evening was the amazing discussion a random group of 4-5 attendees had while viewing Lalla Essaydi’s work titled “La Grande Odalisque”. At first, we brainstormed on what we saw and the physical attributes of the picture. Then we wondered what was written on it, who wrote it, did it matter, and how different the interpretation would be if it were a male or female doing the writing. This led us to make personal and universal connections to the themes of having words and not being understood, others projecting their words onto us, and being covered yet exposed at the same time. Before we knew it, we had spent 20 minutes on just one piece of art and created a memorable experience worth sharing. Art helps us understand other points of views: As we reconvened as a collective group after exploring the galleries, we watch a second TED Talk Titled “Street Art With A Message For Hope And Peace “ by El Seed. El Seed fuses messages of peace from the Koran with calligraphy and graffiti to create works of art in areas around the world where the message of peace is most needed. This was another example of where the connection with the art transcended the literal translation of the words. Art Heals: Another work of art in our community is the new Virginia Treatment Center For Children (VTCC) where we will hold our final TEDxRVA salon on June 21st on Childhood Trauma.